Summertime is finally here!! In addition to a whole lot of rain, we’ve already had some scorching temperatures in Florida. On hot days, nothing brings on a smile more than ice cream treats. 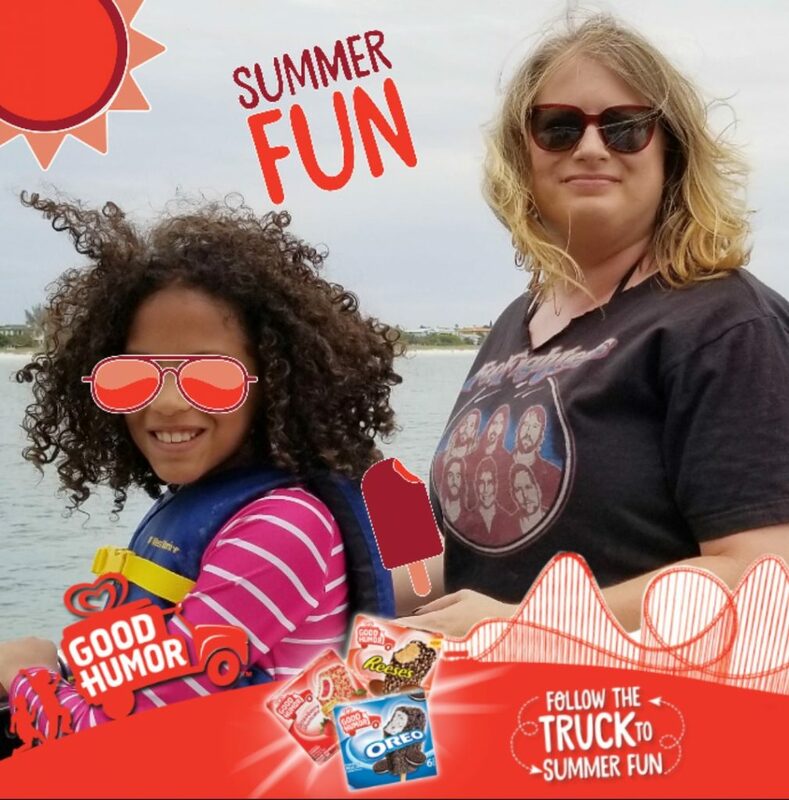 I’m excited to share with you some of my family’s recent summer frozen treat fun, along with the Sweet Summer Adventure sweepstakes from Good Humor. You can enter the sweepstakes for a chance to win some seriously sweet prizes that will satisfy their craving for adventure, like a trip to Six Flags amusement park or tickets to MLB games. 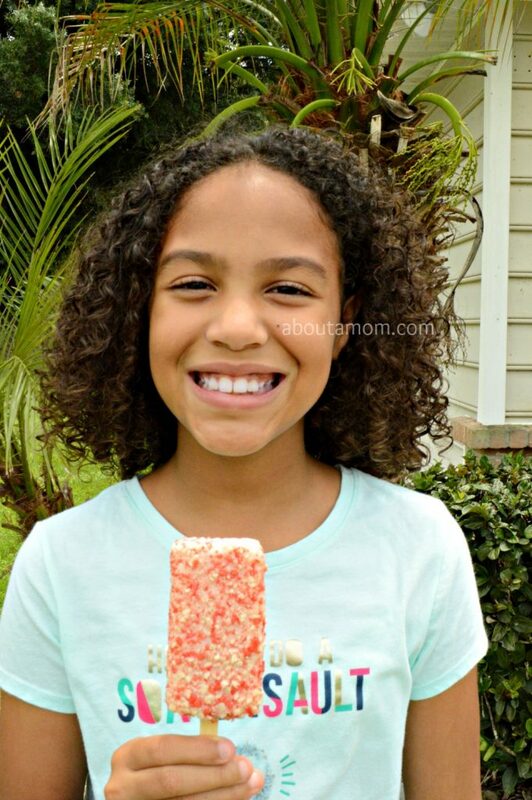 Post sponsored by Mirum Shopper about Good Humor® ice cream treats, but all opinions are my own. I scream, you scream, we all scream for an… ice cream party. Good Humor ice cream is synonymous with summer. My family particularly enjoys the dessert bars, and they are available at your local Walmart. Did you know that you can conveniently get your Good Humor treats using Walmart’s Online Grocery Pick-Up? Simply order online and pick up your order for free at your local Walmart. Attending a summer party? Stock up on Good Humor products on the way with Grocery Pick-Up and be the party hero! 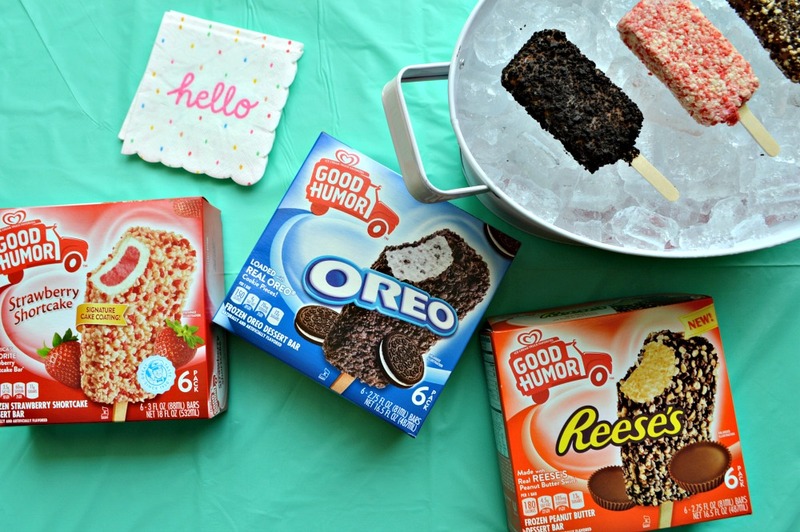 For my recent summer celebration, I picked up a variety of Good Humor products including the Reese’s Peanut Butter Dessert Bars, OREO® Dessert Bars, and Strawberry Shortcake Dessert Bars. Enter the sweepstakes for a chance to win a trip to Six Flags, as well as tickets to MLB games by simply uploading a photo of yourself and adding stickers to it on the Sweet Summer Adventure Sweepstakes page. NO PURCHASE NECESSARY. Open to 50 US & DC, 18+. Ends 12pm CT 6/30/18. For rules, visit GoodHumorSummerSweepstakes.com. So, I visited the Good Humor Sweepstakes page and created my own sticker picture entry. Super fun, right?! Don’t forget to pick up your favorite Good Humor Ice Cream treats when you’re heading to a summer activity! YUM! Im not a huge ice cream person but the summer months I always want it! I love Oreos and ice cream, I could go for one of those Oreo ice cream bars right now. Our Walmart doesn’t have grocery pickup yet but I’m sure it will be available eventually. 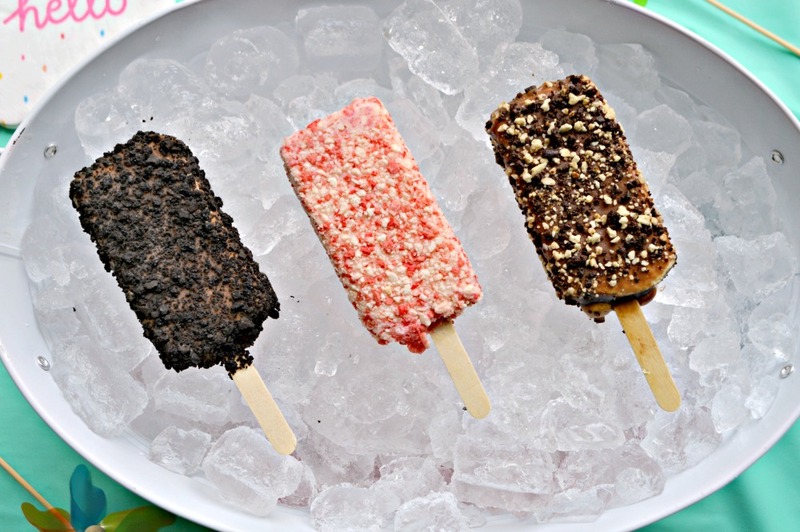 I love ice cream treats for summer, these are a throw back for me, they look like ones I enjoyed as a child. Cheers to summer time! Oh they look so good! It made me crave for ice cream but of course, I’d have to wait till morning to get some. I will have to get these Oreo Ice Cream bars and stock up on them! These are the best ice cream pops and bring back so many memories! Strawberry shortcake was always my #1! The boxes wouldn’t even make it out of the bag! My kids would devour these! Grocery shopping is a personal thing for me. Our local Walmart has online pick up but the only thing delivered here is our mail and our meats. You had me at ice cream! We love ice cream and going to try the strawberry shortcake and reeses. Yum! These all look so good! 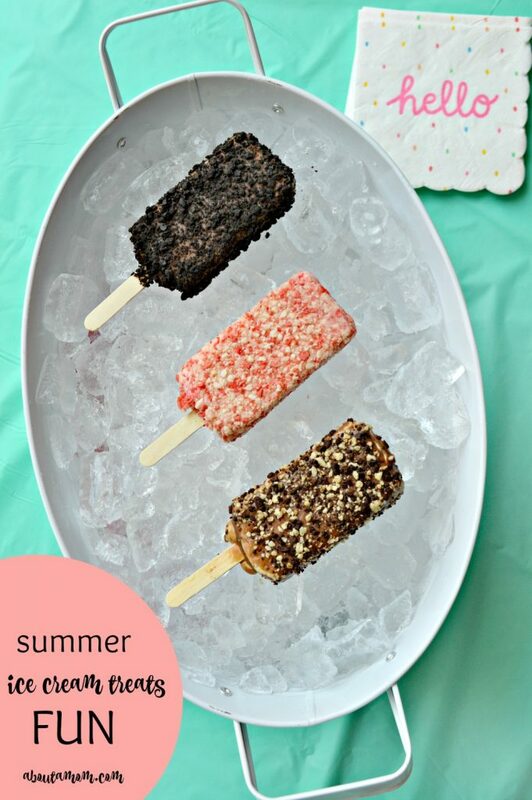 The best summer treat ever!